The same thing that happened in the US with the Powerball lottery is going to happen in the United Kingdom as the National Lottery has announced an increase in Lotto ticket prices. 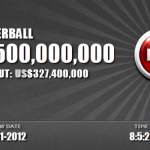 Those who play this game on a weekly basis will have to pay £2 from now on, which represents a 100% increase in price. There are many reasons invoked by the lottery officials to justify the doubling up of costs and not all of them make sense to those who play both weekly draws. 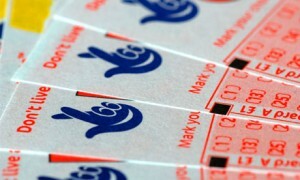 The National Lottery will be celebrating twenty years of existence next year and since it was created almost two decades ago, it never rose the price of the tickets. 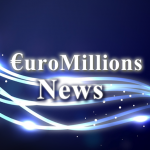 While playing the Euromillions and Thunderball will not be more expensive from February onwards, Lotto players will spend an average of £200 more this year. This applies to those who buy one ticket for each of the two weekly draws and it is expected that those who play the same numbers over and over again are going to be hit harder. Many are reluctant to stop playing just because the costs have gone up and they fear that their numbers might be drawn in one of the weeks in which they didn’t buy a ticket. The answer given by the National Lottery when asked why did the tickets double their price is that they want to change the game structure for the better while offering more support to charities. These non-profit organizations receive 28% of the total amount collected from selling lottery tickets and they are in dire need of financial support these days. Camelot said that as a result of increasing the ticket price, the lower tier prizes will be boosted and those who match three or four numbers will get more money. 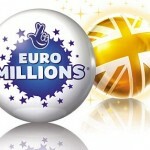 The former will see their prizes boosted from £10 to £25 while the latter will receive £100 instead of £60. On the flip side, matching five numbers with or without the bonus number will lead to lower payouts which is more difficult to explain now that the costs are higher. 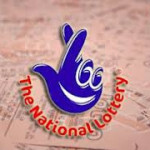 There will be some Lotto raffles organized throughout the year awarding £20,000 to at least 50 winners, but the frequency of these draws is yet to be disclosed. Among the beneficiaries of this price bump, the charities are the main ones because more than a quarter of revenue is directed to funding them. The Treasury is also going to record higher income, as 12% of the total amount collected by selling tickets will go their way. Last but not least, lottery vendors and small shops will rejoice because they receive 5% of all sales and a bonus for selling the winning ticket.